MAMAMOO has just confirmed that they will be performing their latest hit single “GOGOBEBE” at the upcoming <HELLO! 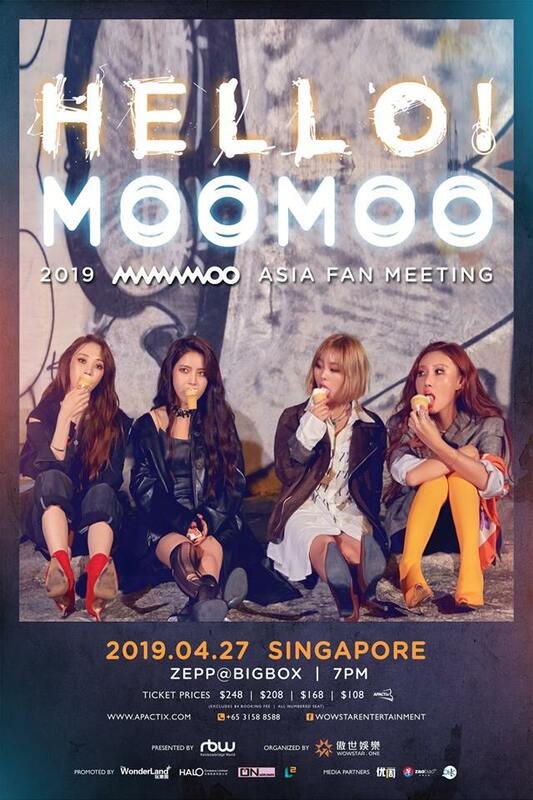 MOOMOO> Asia Fan Meeting in Singapore at ZEPP@BIGBOX on 27th April 2019, 7.00 pm. MAMAMOO has achieved a new peak on Billboard’s World Digital Song Sales Chart and swept various music charts, including 7 wins on music shows with “GOGOBEBE” and release of their 9th mini album “White Wind” (released on 14 March 2019). Consisting of Solar, Moon Byul, Whee In and Hwasa, MAMAMOO is a South Korean 4- member girl group known best for their explosive vocals, strong stage presence topped with “beagle” personalities. 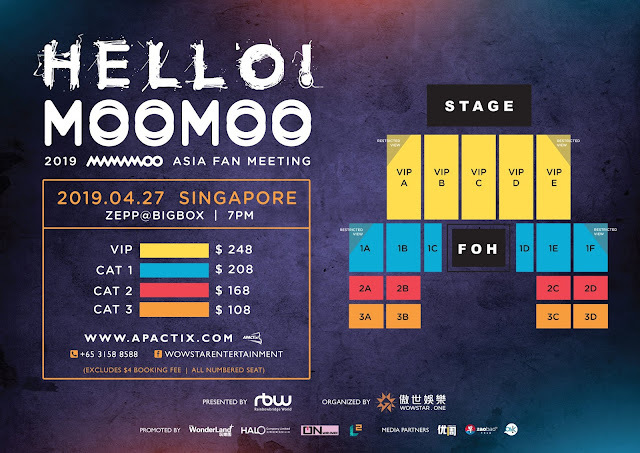 Not only will they be bringing fans a line-up of their hits including Egotistic, Wind Flower, Starry Night, You Are The Best, Yes I Am etc, the fun quartet will also be getting up-close and personal with fans at the Singapore Fan meeting. MOOMOOs can definitely look forward to yet another surprise from MAMAMOO in the upcoming fan meet. 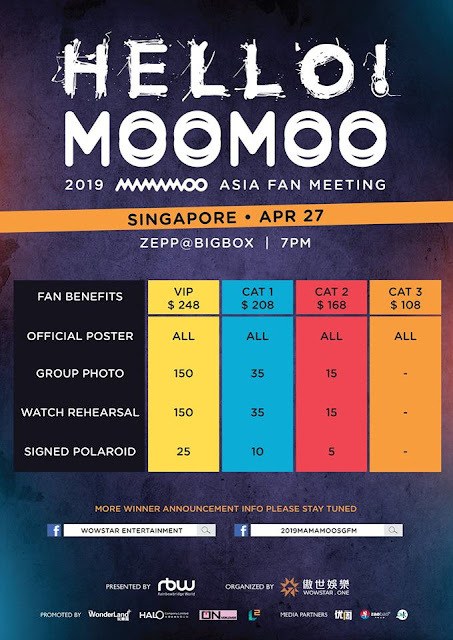 Fans in Singapore can look forward to get up-close and personal with their idols through the various incentives offered in the ticket packages.